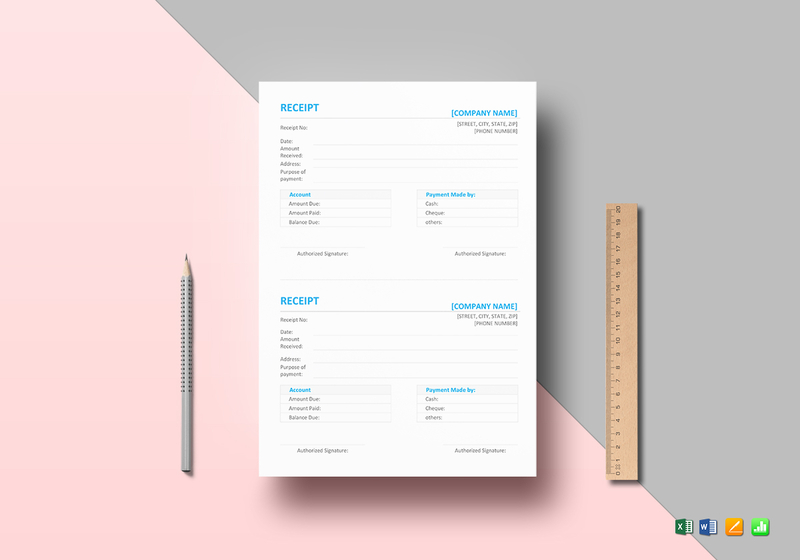 When looking for receipt solutions, try this Simple Receipt Template. Download now and get instant access to this easy to edit template. Simply edit with your favorite software program that supports MS Excel, MS Word, Numbers, or Pages file formats and be done in minutes. 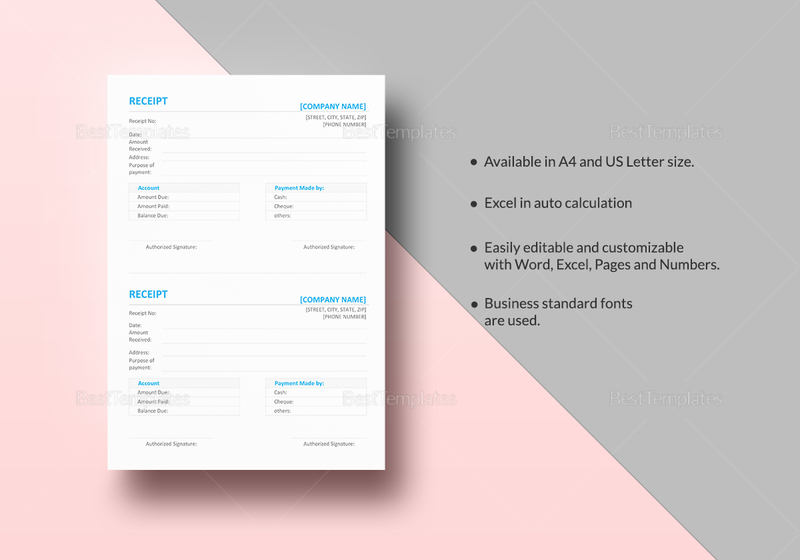 Save time and enjoy the convenience using this fully editable template with standard business fonts in A4 and US letter sizes.